Since childhood, football has been an integral part of my life. Aside from merely growing up playing it, it has helped me develop in so many aspects of my life. Whenever people discover that I play football, there is an element of surprise- particularly now I have entered adulthood. I would like to think this emanates from the awareness that I lead a busy life and that they are therefore surprised that I am able to commit to it, yet it is undeniably due to my gender. With regards to the portrayal of women’s football in the media I take a controversial stance. I have always claimed that I can be just as good as any male. My honest belief is that watching women play professional football does not offer the same suspense, intensity and excitement that men’s teams provide. Therefore from a business perspective, televising and publicising women’s games to the same extent would not be viable or profitable for anyone involved. That is not to say that I believe that the Football Association should be dominated by men in the way it is: it could definitely benefit from the increased inclusion of women fulfilling roles such as referees, managers, coaches etc. It is not our knowledge or technical ability holding us back, but strength. Physical strength is the sole factor that gives men the edge and keeps their games fascinating in a way women’s football does not yet have the capacity to. However, at amateur level there should be no preference according to gender. If women’s football was encouraged and promoted to children from a young age in a more positive way than it currently is, there would undoubtedly be more girls participating. An example of this could be introducing mixed football teams in primary schools, demonstrating equality from an early stage. If I am not playing with my own team, I play with Butler as much as I can and thoroughly enjoy every minute of it. Despite not being as well-established as the men, we are respected on a similar level and people seem just as keen to hear about our matches. We are also offered the same opportunities in terms of the use of facilities, and competitions we participate in. Of course, this should be a basic expectation but when taking into account the amount of players for the men in comparison to our basic squad of 15-20 players, it can be said that Team Durham are definitely fair in their distribution. 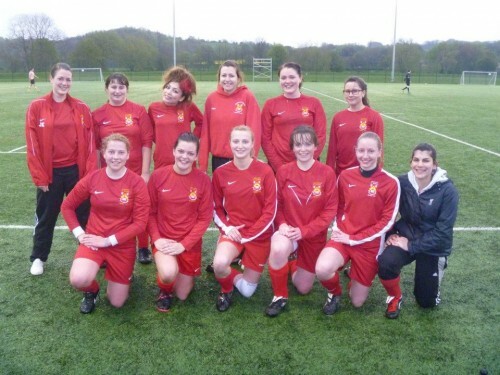 At college level, women are undoubtedly encouraged and enabled to engage in playing football, which I regard to be a complete success, given the lack of awareness surrounding women’s football a mere ten years ago. I am often asked, usually by my frustrated mother, ‘why can’t you play a sport for girls that doesn’t make you this muddy? !’ Even as my wit and sense of argument developed, I had no retort. Now I can safely assert that I do play a sport for girls and will continue to play until I start embarrassing my teammates. As for latter part of the question, where is the fun in playing a sport without mud? Girls can shower too.